When one chances on a unique book, one doesn’t question it. One just reads and allows him or herself to get washed away in its beauty of words and language and so to say, enjoy the experience, for whatever time it lasts. There are very few works of art that manage to bring that out in me and when they do, then I do not think twice about giving in. The giving in process then takes place on its own. Before you know it, the novel has claimed you and you are in a trance. You wait for the book to be over and then want some more. The characters do not let go and you are waiting, wondering what to read next. This happens to me most of the time and it happened off-late when I finished reading, “The Unchangeable Spots of Leopards” by Kristopher Jansma. It was the title that did it for me. Sometimes titles play a very important role in luring the reader to pick up the book and give it a go. I have always believed in that and this time as well, it worked for me. The book is about a writer who wants his life to change and thereby his tale begins. He is the narrator of the book and he is out there to confess it all – of all that took place and how he got to be where he is at. The narrator is an enigma of sorts. He isn’t named throughout the book. His so-called nemesis is also his friend – Julian McGann is at the height of the literary peak and the narrator isn’t anywhere close to that. He is struggling with his book and only wants it to be the very best. Amidst all this but of course is a woman to sort of complete the story. Julian’s enchanting friend Evelyn, the mysterious girl who got away and the narrator hankers after. The narrator is almost caught in two worlds – that of fiction and reality, trying to make sense of life and his story. Let me also tell you that this is a debut novel and it is beyond brilliant. Jansma has followed only one rule while writing this book: There are no rules to writing. To me that is a bold step, which totally works where the writing style is concerned. It sometimes reads as a meta-novel, sometimes just random sentences that come together beautifully and sometimes just confusing, which makes sense after a while. There are losses along the way that the narrator faces and the reader’s heart goes out to him. The read is challenging. It does take some time to get into the skin of the characters, however once you are into it, you understand the method in the sort of madness. The story takes place almost around the globe, which to me was one of the other highlights. The pace works like a charm and before you know it, you are done with this rollercoaster of an experience. It is pleasure to absorb just about everything in this book. It is clever, funny, romantic and sullen as well. 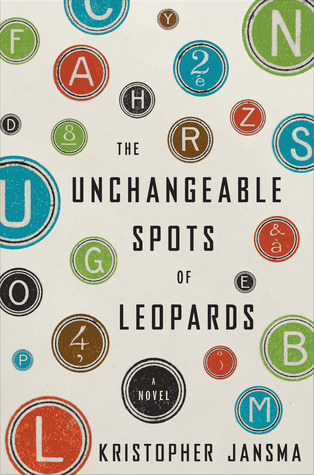 “The Unchangeable Spots of Leopards” is about life. This entry was posted in Books, Literary Fiction, Penguin Books, Review, Viking and tagged Kristopher Jansma, literary fiction, manhattan, Penguin Books USA, Sri Lanka, The Unchangeable Spots of Leopards, united states, viking on June 14, 2013 by thehungryreader. 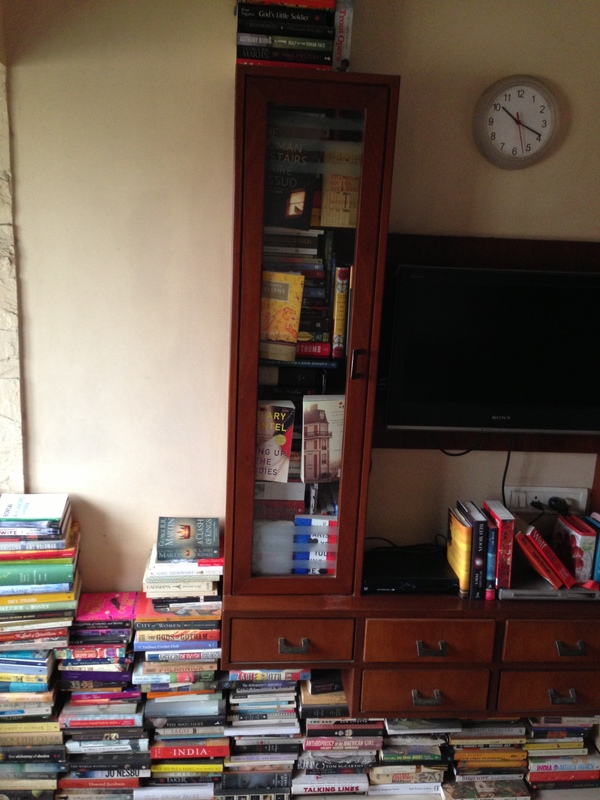 What I am Leaving Behind…My Books. 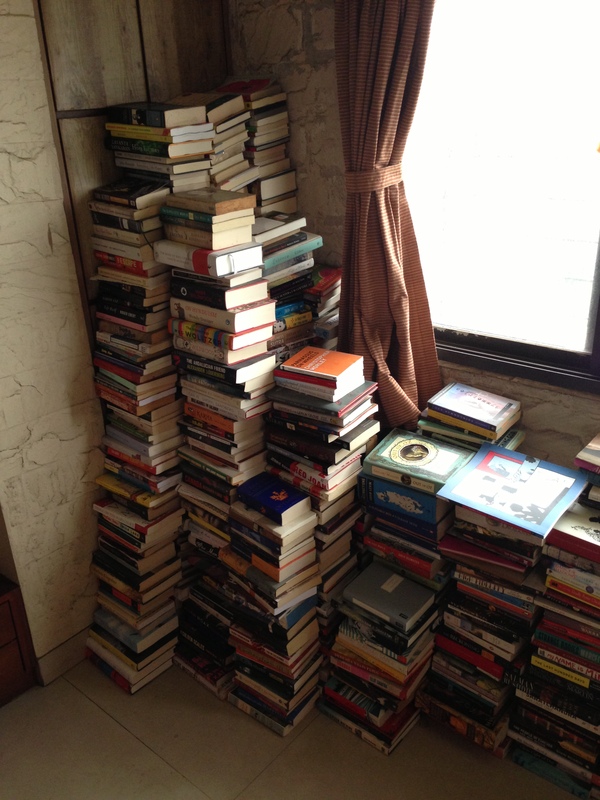 This one is stacked against 4 bookshelves. 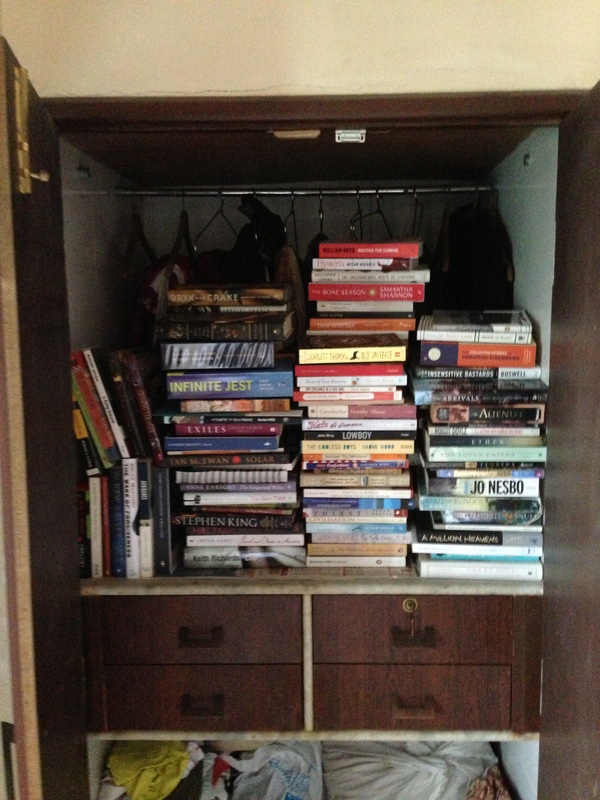 They are full to the brim with more books. They are just about everywhere at home. No monsters under the bed. Ten pictures and that is that. This is what my life is all about. I will miss them so so much. But maybe a new city. 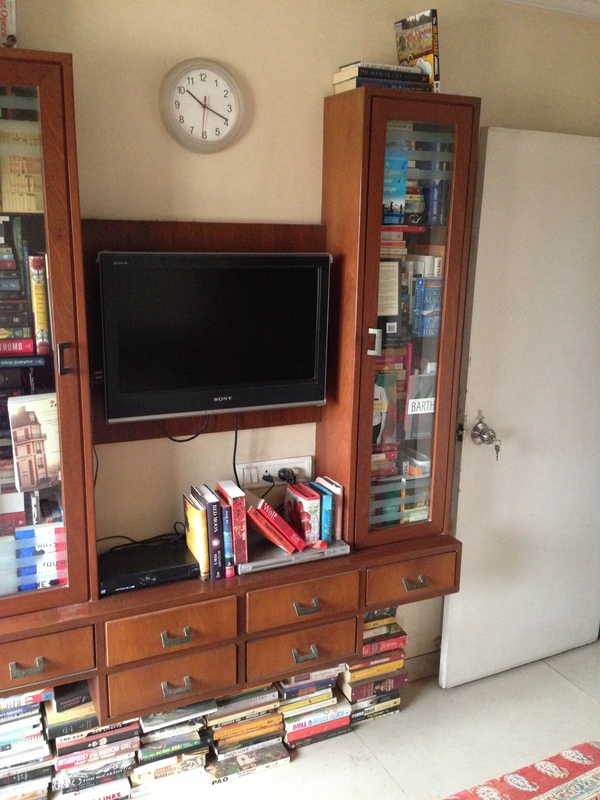 A new library. These will join them too. Eventually. 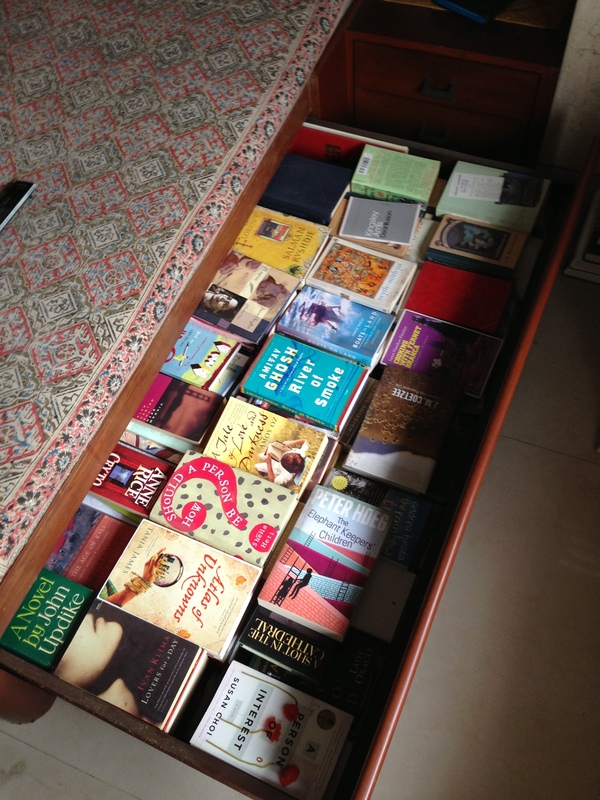 This entry was posted in Books on June 13, 2013 by thehungryreader. Now to talk about a very unusual book which I finished reading a couple of days ago. It was full of impact, full of horror, and anticipation and at the same time, struck the right chords. It is also quite hard hitting in most bits and pieces. 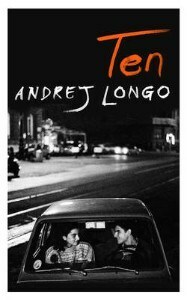 After all, “Ten” by Andrej Longo is a mix of the Ten Commandments and the Mafia. The action takes place in Naples, where the ten stories are centered. Each story is based on one commandment and of course the Mafia is a part of each of them, which is the basis of this book. The stories are interlinked which again is what happens in most books of this nature. Naples is central to every story, which only helps the reader in understanding the landscape of the place and its nuances and culture. The stories are about regular people who are just caught in their lives and want better – for which they will go to any lengths. The stories are different and yet at the core of it – the savagery of humans and the humanity as well shines through. So on one hand, there is a son who has to make a tough choice when he comes to terms with his mother’s illness to a teenager who wants to grow to become an adult a little too soon and gets caught on the wrong side to an abused girl who finds comfort in a stuffed toy. Each story is different and linked and at the same time makes you wonder about the fragility of human life. What I loved about the stories is that the stories do not lose their essence from translation. Howard Curtis has done it again with this one. I remember reading “Lovers” by Daniel Arsand and “The Threads of the Heart” by Carole Martinez with same enthusiasm as I lapped this one, and of course those two were also translated by him. Andrej Longo as it is clear from the translation writes brutally and almost makes you jump from your seat in anticipation of what is going to happen next. The element of thrill and literary fiction is difficult to find at times, but he does it effortlessly. At times all I wanted was the stories to be a little longer; however each story hit the right spot. I would definitely recommend this to readers who want to read a short and yet full-of-life collection of stories. This entry was posted in Books, Crime Fiction, Harvill Secker, Random House UK, Review, Translated Works and tagged Andrej Longo, crime, Harvill Secker, Howard Curtis, Naplees, Random House UK, Ten, translation on June 12, 2013 by thehungryreader. 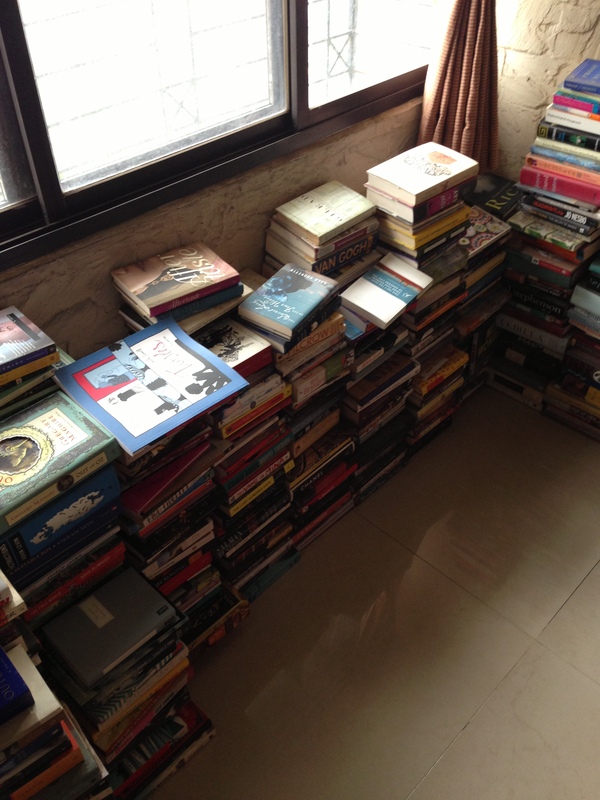 It is not easy to write about books and other authors for a writer. It needs to be unbiased and at the same time say what he or she wants to. I am in awe of writers who manage to write on books. 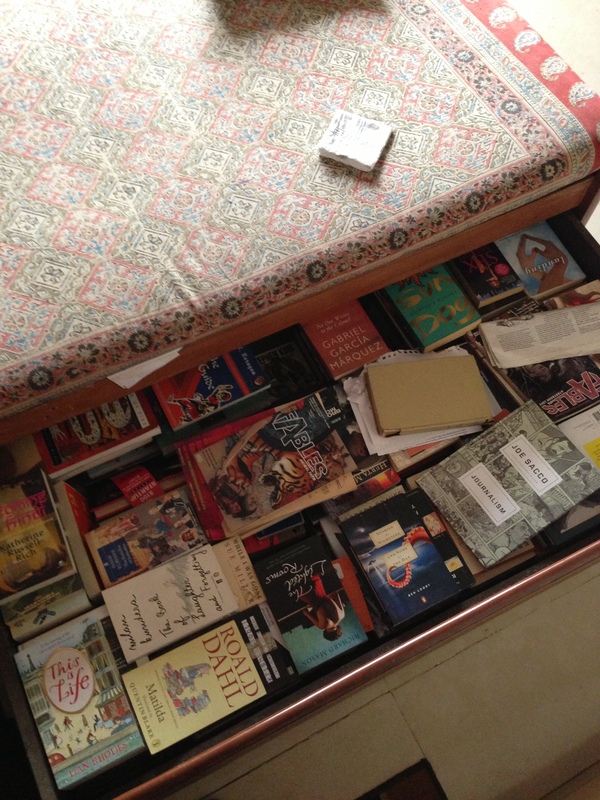 Reading books on books is a different experience altogether. As a reader, I have enjoyed a lot of books on this theme – from Alberto Manguel to Anne Fadiman; these books have also led me to read some more authors who I normally would not have read. This is the primary reason I love books about books. At the same time, I love the critique most of the time, which enables me to compare my reading experience with that of the author’s. 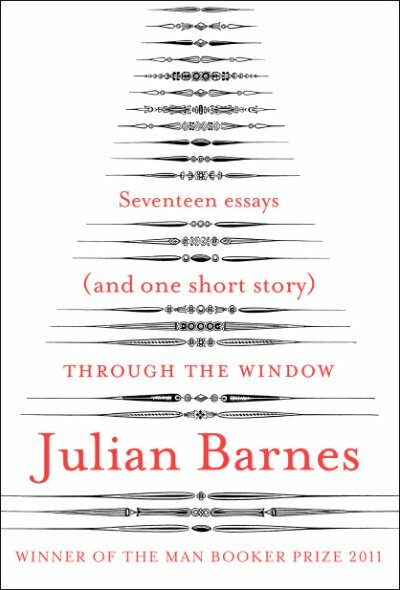 I was fortunate enough to have read another book – a collection of literary essays, “Through the Window – Seventeen Essays” by Julian Barnes. Barnes’s book in seventeen essays covers almost all territory – he speaks of literature, travel, translators, and poets and also throws in a story dedicated to Ernest Hemingway. For me even reading the preface led to a smile and a tear. I love when books can evoke such emotions in a reader. They almost connect, even if they are of the non-fiction genre, just as this one does. I got into the book from the very first essay on Penelope Fitzgerald, whose works I love and have reread a lot of times. 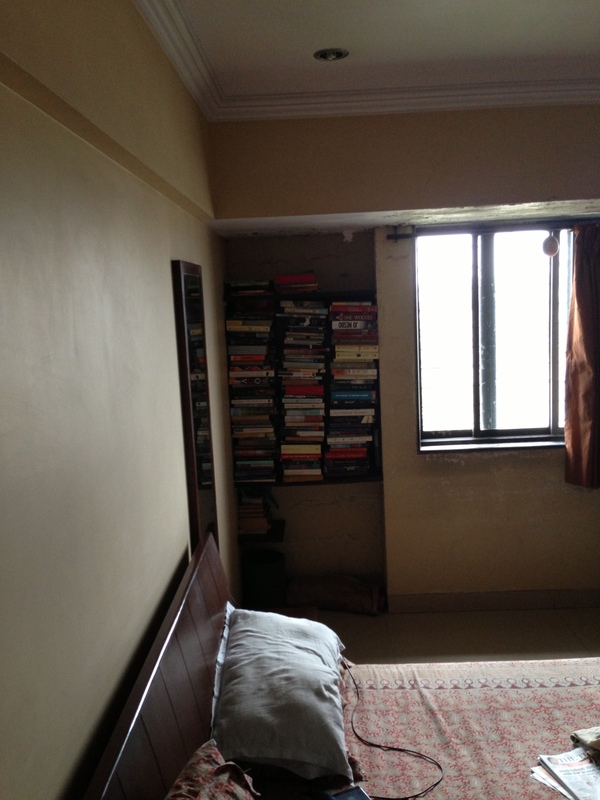 Barnes has this uncanny sense of connecting to the writer’s works and looking at it without prejudice. He breathes the book and the writer and at the same time remains aloof when it comes to commenting or writing about a work. This is seen throughout the book. These essays however are not new. They have been previously published. However, I was very happen that they found their place in one book. Barnes has also written some essays on obscure writers, which in the sense also worked for me, as it piqued my interest in what they had written. For instance, an essay on Nicholas-Sebastien Roch de Chamfort and the one on Felix Feneon. 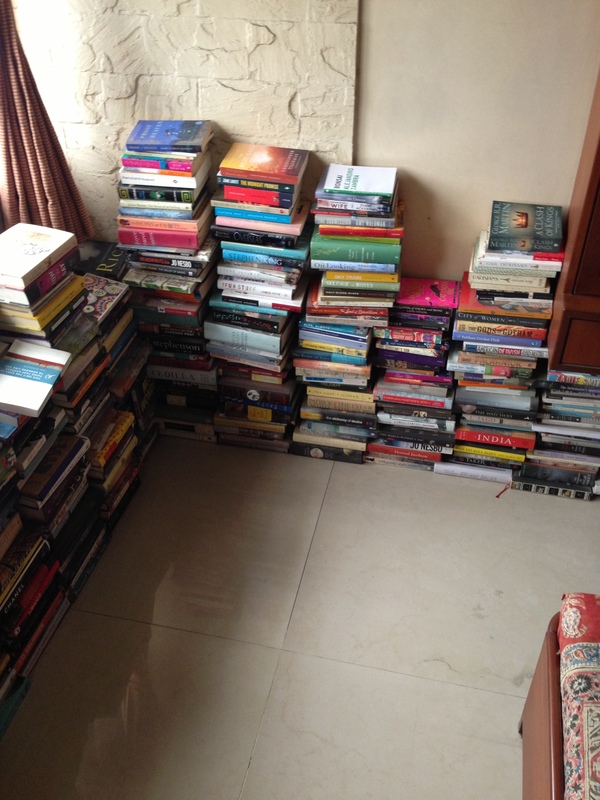 This is the reason as I mentioned before, I love reading books on books. Julian Barnes’s non-fiction writing is as superlative as his fiction writing. I love the range he covers in this book and this clearly reflects his reading tastes. Also the way he writes about the different periods and captures all the nuances is something which every reader will love or I hope they do. He displays this in almost every form of writing – from the novel to the short story to an essay and this shows how comfortable Barnes his with the way he writes. “Through the Window” is a great collection of essays on the literary world. He gives full due to writers who have enthralled him over a period of time and with whom he sees a connection. “Through the Window” will for sure delight you if you are a bookworm who loves to know more about writers and their works in brief or just someone who wants to read a book about books. This entry was posted in Books, Non-Fiction, Random House UK, Review, Vintage Books and tagged essays, julian barnes, Literary Criticism, Random House UK, Through the Window, vintage on June 11, 2013 by thehungryreader. I have always been fascinated by most women in literature. There is something beguiling about them and at the same time they seem to want to say it all. Whether it is a characterization of Lizzy Bennett or it is Madame Bovary, each woman is almost a world in her own sense. There are also women who are caught in circumstances beyond their understanding and will and sort of emerge with different shades of personalities. There are women who are single and lonely and need that extra bit of life so to say, something which will complete them. This I noticed in the works of Muriel Spark more often than not and sometimes also when Iris Murdoch wrote of them. The point that I am trying to get to here is that literature is full of these fascinating characters, one of them I will add to my list, after reading, “The Woman Upstairs” by Claire Messud. Claire Messud’s woman is Nora Elridge. Nora is forty-two years old, a teacher and fully enraged at life, when the novel begins. She wants more out of life and doesn’t know how to do it. She wants to get out of the rut and doesn’t know where to go. She wants children. She wants a life of her own. She doesn’t want to be the “woman upstairs” who is desperate and longs for more, as days pass, living in a house that has no one else but her in it. At the same time, the novel jumps to five years ago, in 2004 when Nora meets the Shahid family and she begins to fall in love with each member of the family – Reza her third-grade student, Sirena the mother, and finally with Skandar – Sirena’s husband and Reza’s father. This goes on for a year, the one single year that changes Nora’s life. This in brief is the plot of the novel. Now to the style of writing of the book. The plot is so well-layered that the mystery element of the book hits you unexpectedly and that to me is some great writing skill. The thin line between fiction and reality is explored brilliantly through this book and throughout it as well. Messud’s understanding of her characters and the lives they lead is beyond excellence, because she delivers with almost every single word and that is what matters when reading a great book. 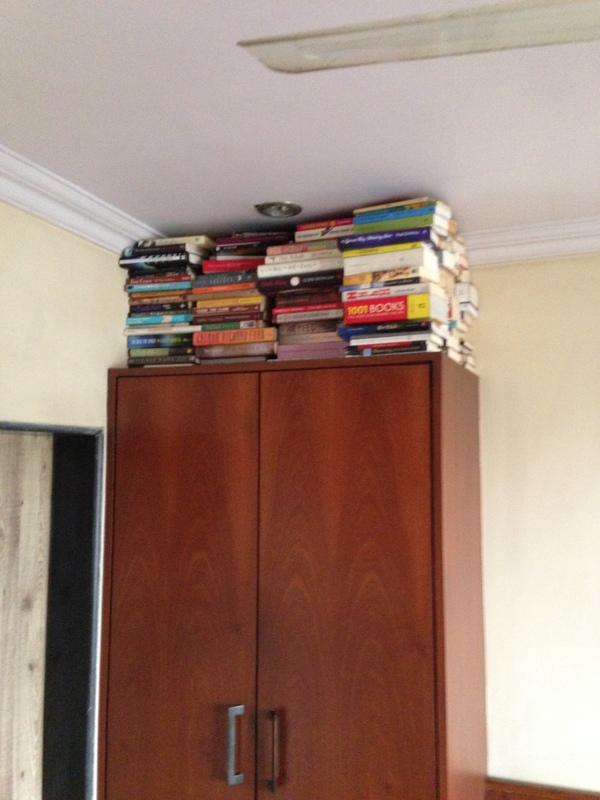 Anger at all levels is reflected in the book in a very subtle and sometimes quite apparently. At the same time, there is enough intellectual depth to the book, which takes it away from being just another psychological thriller. As a reader, I was always drawn to Nora while reading the book. What would she do? How would it affect her? Should she do this at all? When a reader gets so involved with the central character, he or she knows that the book has done its bit. Nora almost speaks to everyone and it is also frightening given the way she lives her life. One doesn’t know what is beneath the surface, till it is either revealed or one is smart enough to catch on to the hints. You will love Nora and at times also hate her – that to me is a great sign of etching a character that everyone can or almost wants to relate with and yet maintain their distance. The ending is not tidy. Messud does not even tie up the loose ends. It is for the reader to decipher what could happen and what has. The psychological inferences are many and enhance the reading experience. The cultural inferences only add to those, making the novel richer by the turn of the page. The book is profound, deep and at the same time touches on the concept of “living” like no other book I have read in recent times. If you are up to read something that will probably make you think a lot, then this book is for you. 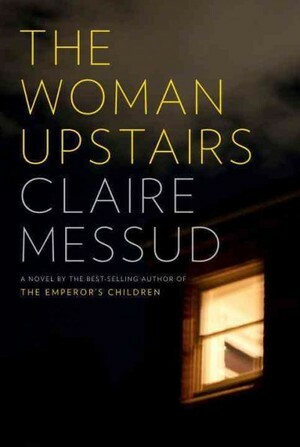 This entry was posted in Books, Knopf, Literary Fiction, Review and tagged Claire Messud, Knopf, literary fiction, Psychological Thriller, Single Women, The Woman Upstairs on June 11, 2013 by thehungryreader.